Taste test: These are good narrow-rippled potato chips. 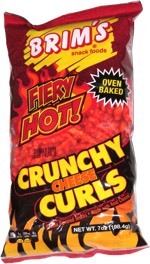 They have a good crunch, lots of potato flavor and an average level of salt. 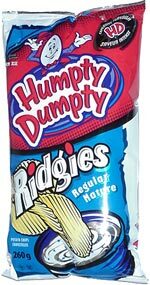 We're impressed by the fact that Humpty Dumpty has two separate lines of rippled chips  Ridgies and Ripples  with very similar names. Smell test: No strong aroma.